When I first started studying for my list of superfoods, I was quite amazed at the marvelous selection of delicious cuisine. 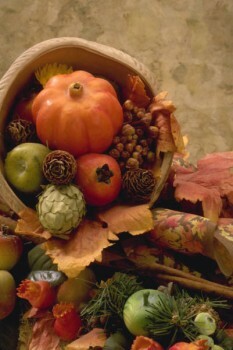 After studying super foods, one thing is abundantly clear; every natural food source from the earth is a super food. Man has not been able to isolate every single compound found in foods, but with each decade, we learn more. With targeted inborn intelligence, super foods prevent cancer, aging, hair loss and provide weight control. This wisdom comes from our beautiful planet, and we are part of this ecosystem. This page lists the highlights we've learned about so far. To start off our list of superfoods, we begin with garlic, onions and leeks. Garlic, onions and leeks are relatives called Alliums. Onions, garlic and leeks contain flavonoids that stimulate Glutathione. Glutathione aids in the elimination of toxins and carcinogens. Carcinogens are cancer-causing agents. 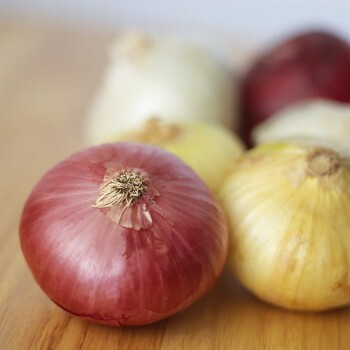 Onions stunt the growth of cancer, prevent colds, stimulate the immune system, have anti-fungal properties, and reduce the risk of certain types of cancers. Onions are an excellent source of Selenium, Fructans, Vitamin E, Vitamin C, Vitamin B-6, Potassium, Diallyl Sulfide, Saponins and Myricetin. Garlic is a true super food. Garlic neutralizes poisons given off by bacteria and fungi. A researcher in Germany proved that garlic can cause cancerous cells to go into remission. In Japan, research has been done to show that garlic stops the division of cancerous cells. Garlic appears to inhibit the enzymes needed for cancerous cell division. 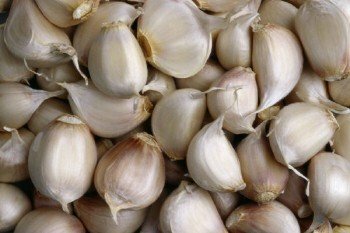 Crushed garlic applied to the skin will kill the herpes virus and drive it into remission. This tiny clove is so pungent, it will kill the wart virus, even when aggressive medical intervention has failed. Click here to learn how to cook and prepare leeks. Leeks contain a tube-like structure that contains many layers. They are known to stabilize blood sugar and lower cholesterol. Leeks contain Vitamin B-6, Vitamin C, Vitamin K, Folate, Manganese, Iron, and Fiber. Leeks contain quercetin, flavonoids, kaempferol and only contain 16 calories per 1/2 cup serving. Leeks are delicious baked and are popular in soups. Leeks are excellent mixed with white onions. White onions tend to mellow the flavor of the leeks quite a bit. Click here for a leeks recipe. Next on our list of superfoods are nuts and seeds. 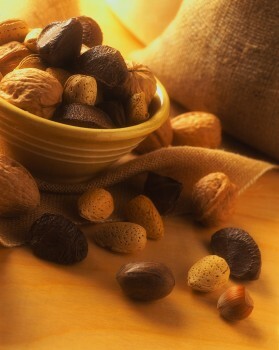 Nuts and seeds contain a phytochemical called Phytic Acid. Phytic Acid is an antioxidant found in abundance in nuts and seeds, especially when they're unprocessed. The coatings on nuts and seeds also contain an antioxidant called polyphenols which is associated with a reduced risk of certain types of cancer, especially colon cancer. Almonds contain Arginine which inhibits tumor growth. Walnuts contain Ellagic Acid which is a cancer-fighting polyphenol. Almonds slow the absorption of carbohydrates in your system. Almonds keep your blood sugar under control. Walnuts have plant-originating Omega 3 Fatty Acids, Vitamin E, Magnesium, polyphenols, protein, fiber, Arginine and Melatonin, among many others. People who eat nuts are less hungry, so nuts and seeds are excellent for weight loss. Besides being a potent for anti cancer food, they're delicious. Next on our list of superfoods is broccoli. Broccoli always comes in at the top. Broccoli is a food of wonder and magic. The taste of this super food is delectable raw or lightly steamed. This common vegetable is universally known for its cancer fighting compound sulforophane. 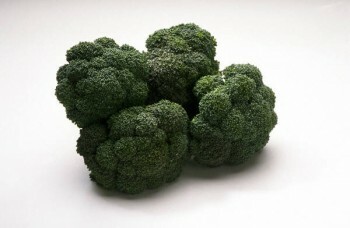 Broccoli contains one of the most potent anti-cancer fighting compounds known to man. Sulforaphane. Sulforaphane, which is found in abundance in broccoli, has been isolated in laboratory tests with cancerous cells. When the sulforaphane is introduced to cancerous cells, the sulforaphane destroys the cancer. Broccoli is a nutrition powerhouse, packed with fiber, magnesium and calcium. Broccoli also contains anti cancer phytonutrients called indoles. This Asian vegetable is a superstar for the prevention of cancer. The most common form of this vegetable has very large stalks with heavy dark green leaves. This amazing Asian vegetable is extremely popular in our home. We fry meatballs with red pepper flakes, regular pepper, and Kikkoman Soy Sauce. This recipe has left my family gasping and begging for more. Click here for bok choy recipe. You can also buy baby bok choy. Although baby bok choy is very yummy, I prefer the larger bok choy. There's just something about it. Bok Choy has a very unique flavor. One large stalk can feed an entire family. The heavy, dense green leaves fulfills the requirement of consuming some type of greens every single day. 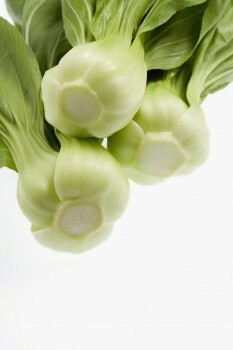 Bok choy can be grown throughout the year, and take about a month and a half to mature to full ripeness. Bok Choy makes my list of superfoods any time, any day. If you are looking for thicker hair, radiant skin, and lots of energy, please get salmon into your diet. Taking a fish oil supplement is not the same as eating the actual fish. Manufacturers have isolated only a few essential fatty acids for sale as supplements, but it is believed there are many more EFAs that have not been identified. Salmon eat a diet of plankton that's rich in omega-3s. When we eat salmon, we get these wonderful nutrients into our diets. Salmon is a rich source of marine-derived omega 3 fatty acids, Calcium, Selenium, Vitamin D, Potassium and Protein. I fed a stray cat salmon for a few months. Her coat became an amazing radiant, thick, deep orange. When our neighbors took over the feedings, she was fed a diet of junk food and boxed food. Within about two months, her coat became thin and turned a light frazzled yellow. Here's a direct quote from Dr. Nicholas Perricone. "Of all the food that keeps you young, fish tops the list." 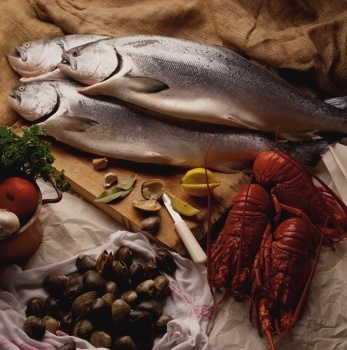 Dr. Perricone also states that fish contains DMAE, a natural nutrient that corrects sagging skin. DMAE also acts as an antioxidant by protecting cell membranes from free radical damage. For an anti aging diet, fish, but especially salmon, makes my list of superfoods every time. Let's talk about one of nature's most powerful weapons against cancer. All berries, but especially dark-colored berries provide so much protection that a book could be written about this wonder fruit. Blueberries provide multiple nutrients and phytonutrients. Some of the listed nutrients in blueberries are Salicylic acid, Carotenoids, Fiber, Folate, Vitamin C, Vitamin E, Potassium, Manganese, Magnesium, Iron, Resveratrol, Riboflavin and Niacin. 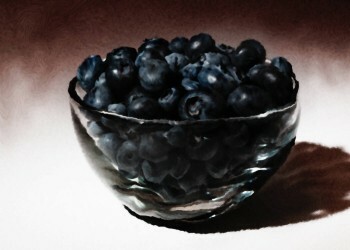 Blueberries are good for the brain. Researchers have discovered that blueberries help to protect the brain against oxidative stress and inflammation. Stress and oxidation play an important role in brain aging. Studies show that eating a diet rich in antioxidant and anti-inflammatory substances found in blueberries may lower the risk of developing age related diseases like Parkinson's disease and Alzheimer's Disease. The first time I ate a real pomegranate, I was stunned by the flavor. For some strange reason, the flavor catapulted me to an ancient time. It's hard to explain if you've never eaten one. There are lots of gritty seeds that contain the red juice. There's a lot of fiber in pomegranates. Nutrition scientists teach that fruit juice (fructose) without the pulp is a poison. Nature provides a natural antidote by filling the fruit with fiber. The fiber is there to protect you. Pomegranates are an excellent source of Vitamin B-6, Vitamin C, Polyphenols and Potassium. Pomegranates are a superior anti cancer food because they are rich in antioxidants that neutralize free radicals. Also, the rich, dark juice from the pomegranate keeps your skin supple and radiant. Pomegranates have excellent anti aging properties. Pomegranates are extremely high in antioxidants and they are a very powerful anti inflammatory. Remember that cancer is an inflammatory disease, and anything you eat that is high in antioxidants is an anti cancer food. Pomegranates make our list of superfoods for this very reason. This ancient fruit is a blend of rich flavor and youthful paradise. If you look at a bag of spinach, it is shocking to see their nutrition value. They are unbelievable. This superfood is a powerhouse of dense nutritional resource. Spinach makes our list of superfoods because not only is it delicious, spinach is a tremendous cancer fighter. Spinach is an amazing brain food. Spinach can help protect the brain from oxidation and may eliminate the effects of the decline of aging by protecting the brain from oxidative stress. Spinach and other green leafy vegetables such as swiss chard and bok choy, act as powerful anti-inflammatories, protect our brains and act as powerful immune boosters. When eating in a restaurant, always choose dense, dark greens. 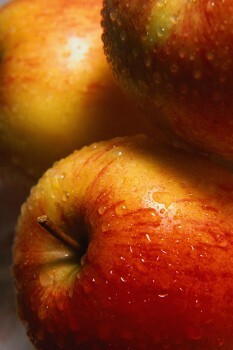 Apples: Apples contain very high levels of quercetin. The antioxidant activity in one apple is equivalent to about 1500 milligrams of vitamin C. Most of the antioxidant activity is found in the apple peel. The apple peel has six times the antioxidant activity than found in the inner pulp. Fuji and Red Delicious apples have the highest polyphenol and flavonoids. Studies have been done to show that apples protect pulmonary function, and can reduce the risk for asthma, cancer, cardiovascular disease, and Type II Diabetes. Apples should be on everyone's list of superfoods, and should be eaten five days a week! Tomatoes are considered a superfood because of the phytochemical Lycopene, which is an important carotenoid. Lycopene in tomatoes is more available after processing. When tomatoes are made into a paste, it becomes particularly high in Lycopene. Cooking tomatoes releases Lycopene from plant cell walls. Tomato paste is one of the few processed foods that are actually good for you. Tomatoes help to control blood sugar. Tomatoes have been linked to the prevention of prostate cancers and pancreatic cancers. Tomatoes can also act as a blood thinner, thereby lessening the chance for blood clot formation. Our family adds one can of tomato paste to spaghetti sauces to thicken it. It tastes absolutely wonderful! I long suspected that Avocados were a superfood. Now I'm certain of it. Avocados are one the most nutritionally dense foods available. Avocados are incredibly high in Folate, Potassium, Vitamin E and loads of Magnesium. Magnesium is essential for healthy bones. 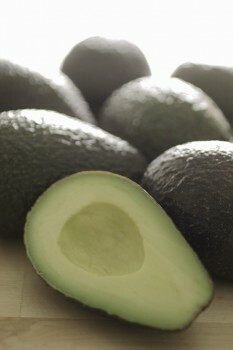 Research has demonstrated that many nutrients are absorbed better when they are eaten with avocados. Avocados are the best source of Vitamin E.
The Vitamin E, contained within avocados, protects against many diseases and helps to maintain health. Vitamin E also helps to neutralize pesky free radicals. Add avocados to your list of superfoods to prevent illness and to promote radiant health. Next on our list of superfoods is tea. Tea has an abundance of antioxidant flavonoids, especially one known as EGCG. EGCG is a catechin, a subclass of flavonoids. 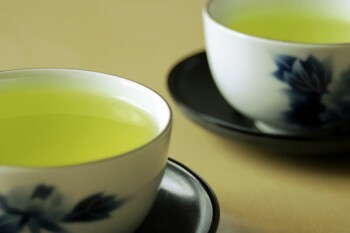 All teas have beneficial compounds, white, green, oolong or black. All of these teas are related and they come from the Camellia Senensis plant. When tea is decaffeinated, the tea loses some of its effectiveness. In 2003, Harvard scientists found that tea acts as a sort of natural vaccine that teaches immune cells to recognize markers on the surface of invading toxins. When participants in a study drank five or six cups of tea a day, there was an increased production of an important disease-fighting protein on their immune system T cells. So this means that in a toxic enviroment, tea helps us to fight off foreign invaders that could lead to problems like breast cancer and heart disease. The natural compounds in tea help to prevent the formation of new blood vessels that accompanies the growth of malignant tissue. Tumor cells release chemicals to encourage blood vessel growth so that they will be fed and can grow. Drinking tea helps to inhibit that process. Tea Drinking Tip: After putting tea bags in hot water, squeeze the bags dry. That will get twice the antioxidants that you would normally get. Try Tazo Zen Green Teas. This superfood has a rich mellow flavor that promotes health and deep relaxation. health soar, and your spirits brighten!